The translation of the book in French in 1695 raised in Paris an imposing opposition, which carried out its condemnation by The Sorbonne itself. Due to that unfair condemnation, the catholic universities from Europe mobilized, in such a way that no other feminine character from the Christian period had done it before. 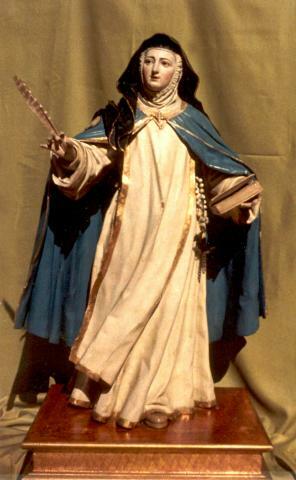 The Theology colleges of the Spanish universities from Alcala, Burgos, Cadiz, Canaries, Granada, Madrid, and Salamanca declared themselves openly in favour of the Venerable. The religious schools of Saint Agustin, Saint Basil, Saint Benedict, Saint Bernard, Saint Hieronymous, Saint Norbert, the regular clerergy and those of Saint Cayetanus, the Dominicans, the Franciscans, the Jesuits, the Carmelites, the Mercedarians, the Trinitarians joined them. Abroad Louvain and Toulouse universities declared themselves in favour of the mystic from Agreda. Among The Mystic City of God editions, rising up to 270, there were some in languages so shocking such as Latin, Modern Greek or Arabic.